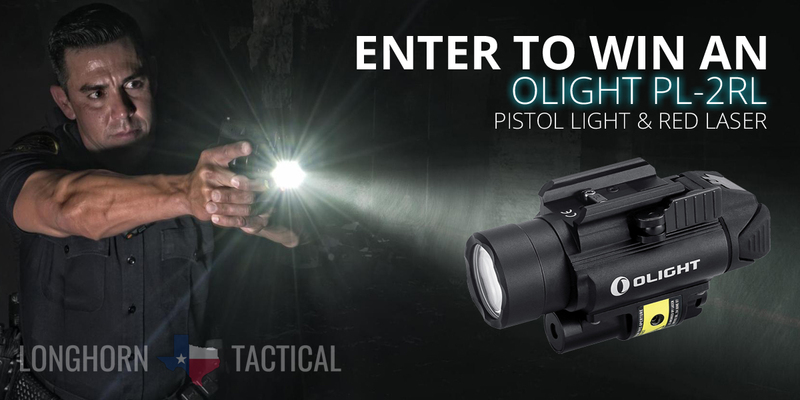 Enter for your chance to win an Olight PL-2RL Baldr rechargeable weaponlight & laser. Designed for handguns, the PL-2RL is equipped with a bright, 1200 lumen output flashlight and 650nm Class IIIa (<5mw) red laser. For home defense, concealed carry and everything else in between, this rechargeable pistol light is easy to use, even under stress. On February 8, 2019, we’ll announce 1 lucky winner. Make sure you enter by midnight on February 7, 2019 for your chance to win! Contest open to U.S. residents over 18 years of age. View entry page for full contest details.